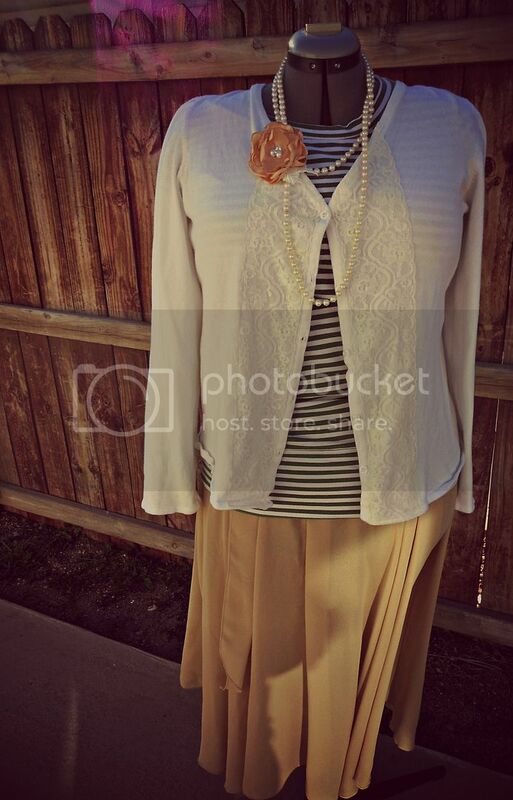 I am back this morning with another sweater refashion. 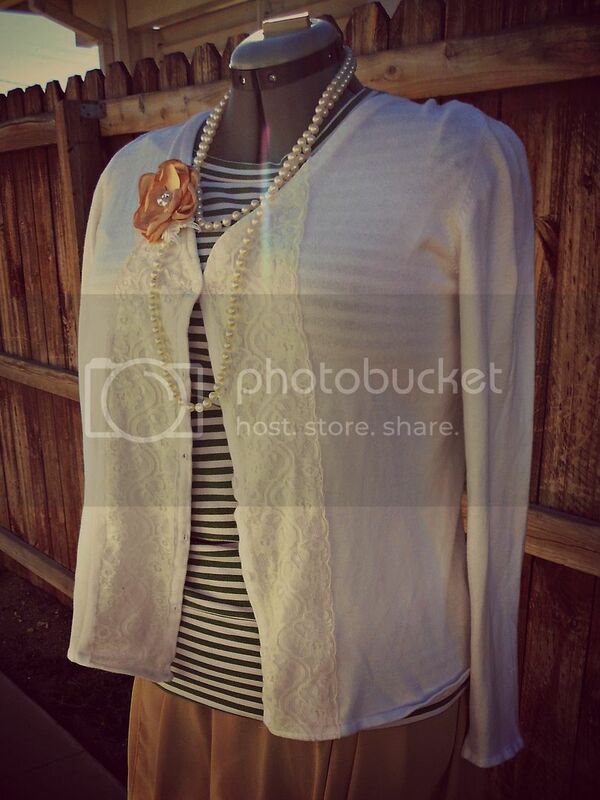 I found this white cardigan at one of my favorite thrift shops. They were having a half off sale on orange tags. This sweater was suppose to be $2 and I got it for $1. I then grabbed some floral lace trim and got to sewing. This was another one of those simple 20 minute or less projects. 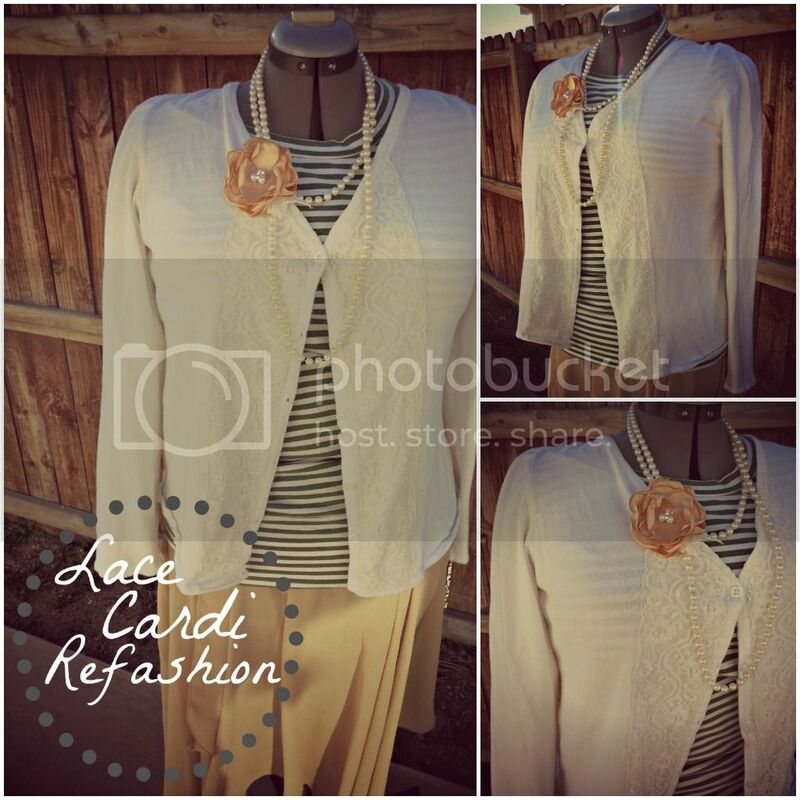 I pinned and sewed it very much the way I did this cardigan refashion. My lace that is over lapping at the top, was tucked under and sewn afterwards. I wanted to make sure all my raw edges were tucked in and sewn. 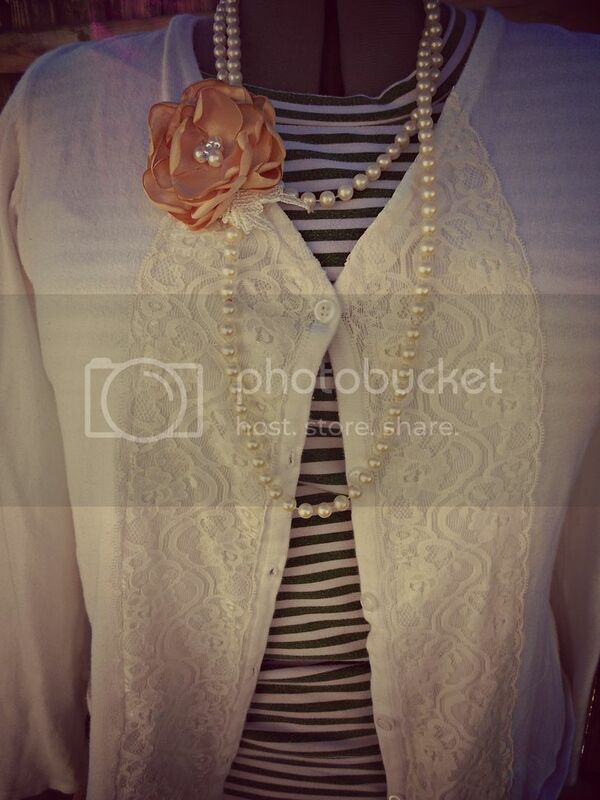 Afterwards I paired my new refashioned sweater with my favorite pearls and thrifted skirt. Simple and classy. well done! It turned out awesome. Wow! 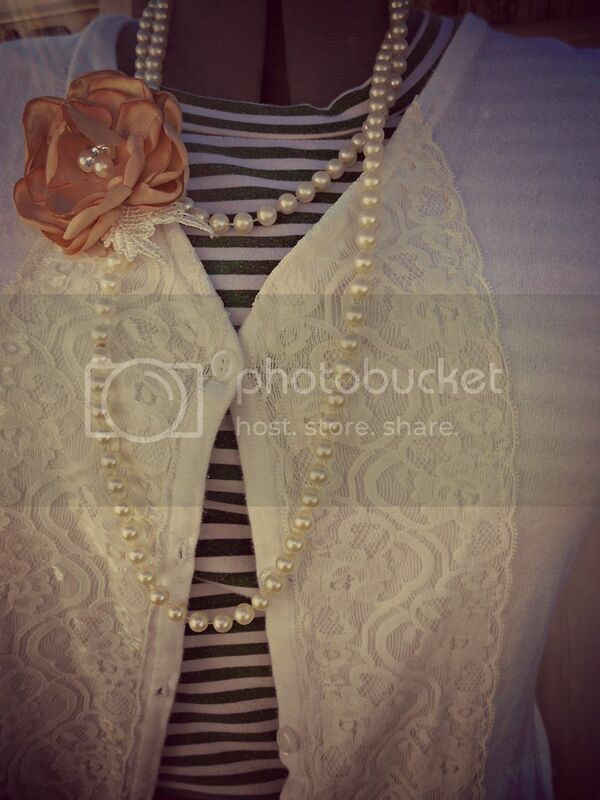 That looks so pretty, I love the pearls. I LOVE it! But what about the flower? Did you make it...sew it on or is it clipped?? Sew cute! lol Love it, thanks for sharing. Too elegant!!! 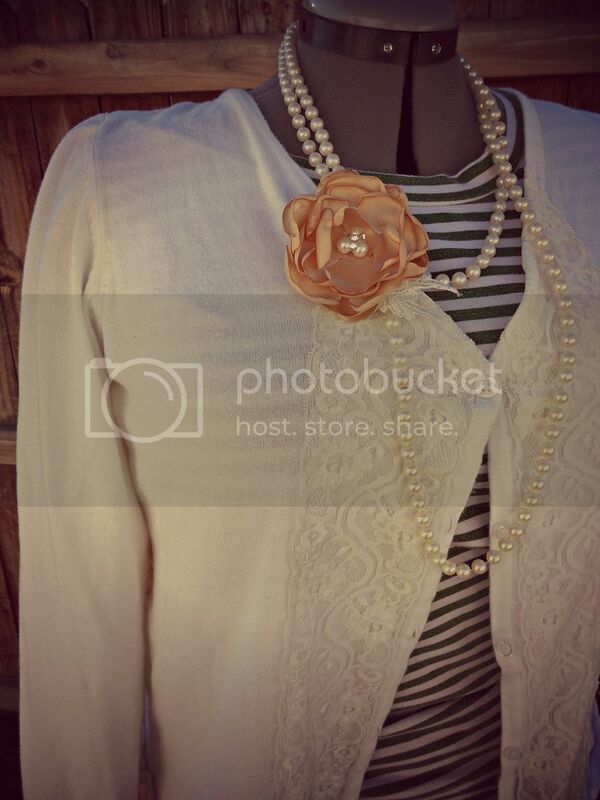 Love this project and the flower clip too!Thanks so much for sharing the great tutorial! Would love to have you visit me sometime. This is super cute Danielle! You have crafted this cardigan into something really beautiful. Must try it with one or two tired objects in my wardrobe. absolutely a stunning result. Classy. Such a simple idea but really effective. Must give it a go!